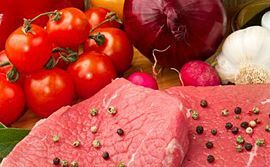 The following diet is recommended in order to stabilize the internal environment from pain, inflammation, and microbial overgrowth. It is a very important treatment protocol to be used in conjunction with supplementation. Each person will be guided through the diet in an individual manner, but the following is a very general outline to be used in treatment. 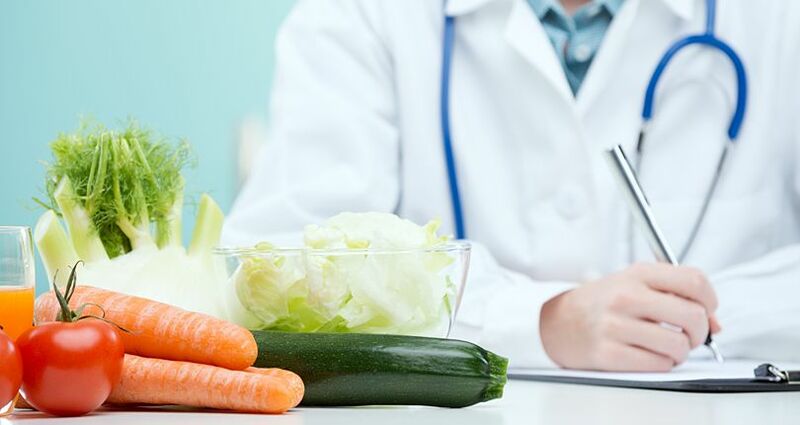 At the beginning the diet is most restrictive and during treatment it is broadened as the inflammation is reduced. Reactions to foods will slowly disappear as the as the inflammation reduces and the GUT becomes stronger. Vegetarians and vegans- our body of knowledge over these last 22 years has been based on an animal protein diet. We have continued to say that our spiritual beliefs and our clinical beliefs do not necessarily agree. However, after doing this for so long, we feel that we may be able to make this system for for you too, and we would love to see that happen, even though we have found this to be a very difficult challenge in the past. We will be creating a new outline for those of you eating in this way. We at ICAMA are animal lovers! We are open to helping you in your process and we can discuss this. Meals should be ¼ protein, ¼ starch and ½ vegetables. If you are too thin already, then amounts should be 1/3 protein 1/3 starch and 1/3 veggies. Breakfast may be ½ protein and ½ starch if vegetables are too difficult to consume for that meal. When moving to the next stage of treatment, do not assume that each change will be tolerated, try one food at a time per day. If you are going to respond negatively, you will likely feel an exacerbation of your symptoms between ½ hour to 6 hours after consumption. These modifications are general. Specific guidance will be given for each individual’s needs. Protein: most fresh red meats, lamb, fish (avoid tilapia and FYI-salmon can cause frequency temporarily so watch for that) and shellfish, and fowl, eggs (NON OMEGA RICH EGGS) avoid pork, cheese should be withheld initially. Vegetables: Broccoli, cauliflower, lettuce, cucumbers, celery, yellow squash, zuchinni, green cabbage, red cabbage, Chinese cabbage. 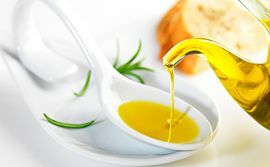 Fats: Butter, olive oil (not extra virgin) is best to cook with and use in salads. Although we more often recommend a gluten free and grain free diet for those suffering from severe imbalance at stage one, we find that some patients do well with small amounts of grain. In these cases, we recommend basmati rice at this early stage, but no other grains or gluten. For others: potatoes, sweet potatoes, yucca (AKA cassava, AKA tapioca) are good beginner choices. Spices: garlic powder that is pure without additives (eat cautiously, sometimes this is too strong for beginners), do not use cooked whole garlic until list 2, dried basil, sea salt or pink salt (usually tolerated in most individuals). 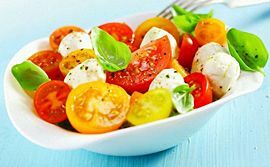 Salad dressing should be olive oil, garlic powder (pure), and try adding a little dried basil for extra flavor. Drinks: Spring water only! Not all spring waters are alike and in each region there are different waters available. We work with our patients to try and help them find the best water choice in their region. Of course, we do not want to add to our footprint and recyclable glass water is best but, it is not always available. If you are a coffee drinker, please choose french roast (it is best tolerated) we also recommend organic coffee only! Please make your coffee with your spring water. Please only use a drip coffee maker or french press. spinach, zuchinni, bell peppers-yellow first, then red and cooked first-if ok cooked then try raw, avocado (technically a fruit), cooked onions in small quantities. 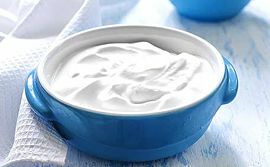 Proteins: more “hard” mild cheeses, plain yoghurt. Milk may be included in recipes, but not be consumed as a drink. After the inclusion of all Stage 3 foods, try adding in raw organic almonds and raw organic cashews, if these are ok then the butters from these nuts. Vegetables: tomatoes (really a fruit-homemade sauce can be made from this), carrots, all bell peppers-make sure you are ok with them, green beans (be careful with this one), spagetti squash, acorn squash, peas, bamboo shoots, turnip, okra, leeks, jicama, onions, radicchio, bok choy. Starch: mung bean pasta, quinoa and corn pasta (organic NON-GMO!!!) chick-pea pasta, bean pasta, buckwheat and sweet potato pasta, potato and almond pasta, white beans and black beans. Make your own bread with nut flours and or potato, cassava, or rice flour. See recipes on this site using baking powder, baking soda and egg for rising. Fruits: blueberries, grapefruit, if these are ok, raspberries, blackberries, green apples and pear. Spices: try adding in some very mild spices such as dill, rosemary, thyme etc.. staying away from turmeric, ginger, cumin, and cinammon, etc..just yet. Drinks: Try adding sparklingwater-the less bubbly ones first. Proteins: no change. Add in more nuts-such as pine nuts and pecans. Vegetables: beets, water chestnuts, all squashes. Fats: Extra virgin olive oil may be used now. Also try implementing avocado and grapeseed oils for high heat cooking. Fruits: try other fruits one at a time, just no banana and no coconut. Spices: try adding in more spices in small amounts. Healthy fruit or maple syrup or agave sweetened goodies in small amounts may be started. Remember these are treats, not daily foods if maple syrup or agave are used. Drinks: cautiously add in more teas with our guidance on choices. Proteins: Add in walnuts, but, avoid peanuts almost always! 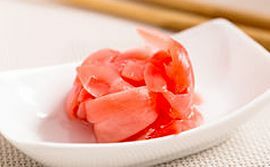 Sushi may be an option now-making sure to include ginger to protect against parasites and optimize digestion. Vegetables: all vegetables, please limit soy to the occasional sushi meal and only to dip as a sauce, DO NOT EAT SOY! Starch: Add oats and all other beans. Fruits: all fruit. NO COCONUT!!! Spices: all spices, except added sugar. This should always be avoided as much as possible. If it is in a recipe at a regular meal it is fine, but avoid adding to food or having as a food itself such as cakes, cookies, etc… healthy fruit sweetening substitutes may be implemented. Find maple syrup, fruit or agave sweetened ketchup and other healthy condiments. Have fun finding and adding in new healthy foods. There are numerous kinds of healthy alternatives already prepared with fruit as cakes, pies, cookies, bars, etc…See "Gentle Products Guide" for ideas. Making your own is fun!!!! Drinks: Focus on water water water! Think about putting grapefruit, lemon or orange in your water if you want a little extra flavor. 1.Drinking tap, filtered, or well water. Drink ONLY bottled SPRING water!! Glass is best for our environment, but, if you can only afford plastic-that is fine for now until better methods are developed. 3.Undergoing some kind of treatment such as laser hair removal, whitening cream for your face, tooth whitening protocols, etc…Also, avoid flouride as much as possible. 4.Swallowing capsules other than ICAMA formula capsules. 5.Taking Natren probiotic powder that is in the bottle loose. The loose powder is not the same as the powder inside the capsules. 6.Taking the wrong supplement. Brands make a big difference. If you are not clear, please ask. 7.Undergoing any medical treatments or taking any medication or supplements that you have not communicated. All things going in or on your body matter. 8.Having unprotected sexual activity, or using condoms lubricated with spermicides. 9.Putting lotion on your body unless it is jojoba oil, olive oil, or Bomasense lotion. Putting anti-bacterial or anti-fungal creams on your body on a regular basis. 10.Including anything in your diet that you are not supposed to be having at this point. This includes recreational drugs and alcohol. 11. Eating anything that is not on your list! If there is confusion over a food, do not eat it until this confusion has been clarified. For severe pain NSAIDS CONTRIBUTE TO THE IC INFLAMMATORY CYCLE, SO PLEASE DO NOT DO THIS MORE THAN VERY OCCASSIONALLY, IF, AT ALL. Infrared sauna, or any saunas, laser treatments, juicing, hot yoga, swimming in a chlorinated pool. This is a life-style change, it is not a temporary medical diet. These stages are meant to reduce the impact healthy and unhealthy foods are having on your inflammation while restoring the health of your GUT. Once you have reached Stage 5, it is time to think about your health long term and consider not returning to old habits that contributed to your Interstitial Cystitis (IC). Feeding our bodies poor quality food and toxic chemicals, using medications inappropriately, and living out of sync with nature is what creates chronic illness. The ICAMA strives to bring people back to balance. If this sounds like the approach to disease that works for you, then you have found a place to embark on a new path to health.